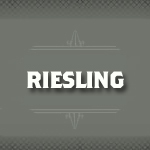 Riesling is a white wine grape variety originating in the Rhine region of Germany. 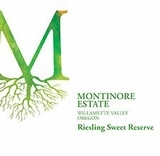 Varietally pure and seldom oaked, these grapes are typically used for dry, semi-sweet, sweet and sparkling white wines. Perfumed aromas are present, with tree fruit, flowery and citrus notes also found. Aged examples have been found to have smokey, honey notes.